AMD CTO Mark Papermaster told The Street that more 7nm GPUs are headed to the consumer market, including less expensive ones. "What we do over the course of the year is what we do every year. We'll round out the whole roadmap," Papermaster said in regards to AMD's 2019 GPU lineup. "We're really excited to start on the high-end....you'll see the announcements over the course of the year as we round out our Radeon roadmap." We haven't had a chance to properly benchmark the Radeon VII, so the only figures we have to go on are AMD's own numbers. According to AMD, the Radeon VII performs equally as well as NVIDIA's GeForce RTX 2080 in rasterized games, and is even faster in some instances, particularly Vulkan-based workloads. That doesn't take into account real-time ray tracing performance over DLSS, both of which are advantages the GeForce RTX 2080 has over the Radeon VII (as NVIDIA CEO Jensen Huang is quick to point out). As such, AMD may have a tough time selling the Radeon VII at its proposed $699 price point. It's too early to tell. Either way, cheaper 7nm GPUs are coming as AMD fleshes out its product stack. What Papermaster didn't clarify, though, is whether those upcoming GPU products will be more 7nm Vega parts, or if the company's Navi architecture will round things out. The 9K MacBook Pro uses Vega20! A step forward for AMD even if you need Apple customers to be stupidly rich - yes a Radeon VII in a laptop. Not worth starting a Navi thread? AMD will be launching its new Navi GPU across multiple price points later this year, with the new 7nm GPU expected to come in four different flavors with varying specs under the Navi 16, Navi 12, Navi 10, and Navi 9 GPUs. Each of the different GPUs should include varying amounts of Compute Units (CUs), VRAM, memory buses, and more. We should expect more mid-to-high-end performance from Navi with much better power numbers than Vega or Polaris thanks to the shift to 7nm and the changes AMD has made to the Navi architecture with its direct input from Sony for the development of the next-gen PlayStation 5 console. The new GPUs were discovered in Apple's recent MacOS Mojave update source code, with the file named "AMDRadeon6000HWServiceskext". This isn't fully confirmed just yet, but we're just reporting from what VideoCardz posted by TonyMacx86. AMD's next graphics card release is the surprise announcement of the Radeon VII, which is really a Radeon Instinct MI50 accelerator with its Vega 20 GPU on 7nm, and huge 16GB of HBM2 with a massive 1TB/sec memory bandwidth, which arrives on February 7. Our sample is en-route, and will be tested to the death against our arsenal of graphics cards including AMD's current flagship RX Vega 64 and NVIDIA GeForce RTX 2080 Ti. I say lash out this forum needs some movement. Now i just need to find a good value 3440x1440 HDR10 FreeSync 100HZ+ monitor to go with it preferably one that also qualifies for G-Sync compatibility. Mmmm... I will when there's something new and substantial. That's such a bogus load of balls I reckon. Most, if not all, FreeSync monitors do not exhibit any of those issues that nVidia showed at their event. Never actually watched it so no idea what issues they claim popped up. A few sites have done reviews and found all FreeSync monitors to work but I did see one user report there monitor would glitch badly with FreeSync\G-Sync enabled but maybe there monitor was just faulty if they have never used FreeSync before. 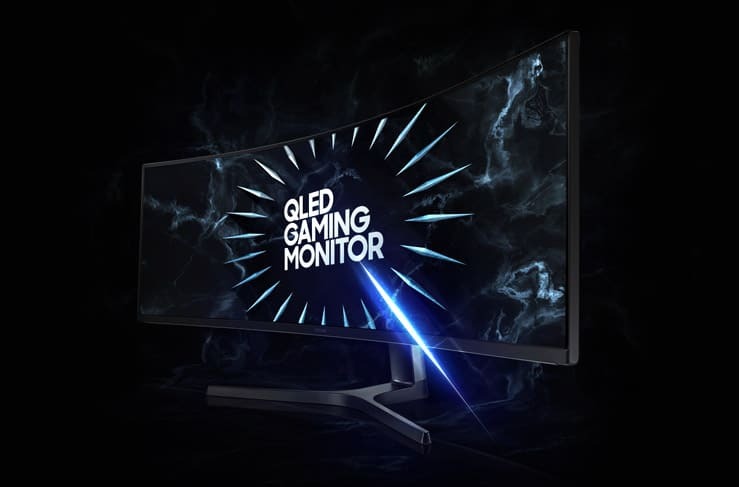 A few sites have done reviews and found all FreeSync monitors to work but I did see one user report there monitor would glitch badly with FreeSync enabled but maybe there monitor was just faulty if they have never used FreeSync before. I got this one. Admittedly I am running it with an RX580 so Can't comment on G-Sync Compatibility but if there's anything you want me to try on it then let me know. I have a 1050 in another box that I can attach if it helps at all. The wider screen is definitely a plus. I have a 75in Samsung TV with HDR and I do t find it's all that amazing so it was one of those things that might be nice to have but wasn't a deal breaker for me. TBH I don't see why it's necessary though. If your video is shot right or game is coloured correctly shouldn't everything be visible correctly? It seems like it would be there for a few niche moments. Thinking seriously about getting this even though it was released 2016\2017. $860 with the current 20% off ebay sale or $899pp from scorptech. But this is the stuff dreams are made of. With the nightmare part being it will probably be delayed for at least a year cost 2k and need a 2k GPU to power it. I've games on the old 1080 version of this and it is pretty amazing having all that lateral view but I I found the 34 didn't miss *that* much when you got focussed on a game. The 1440 version is far more attractive at that size even though it drops back to 120hz from 144hz. The only reason I didn't take the cf791 over the ch890 was I found the 1500r to be a bit to curvy for every day use for my tastes. Like for photos I wouldn't mind flat but going back to 1800r was a reasonable compromise. I cant see myself going over 32", maybe 34" on an ultrawide as it is quite large sitting in front of. I really like 1440p as it seems to be the best compromise and can still get high fps. But I think 3440x1440p would have been better over 2560x1440p that Im running. I personally like 1800r but did take a bit to get use to from flat. Might check user reviews/comments to see if it runs gsync as good as freesync before buying. I have gamed on 3x27 at 7680x1440 It is a bit much though and tends to stretch most games a lot towards the outer edge kinda like when you set the FOV to high. I think the equivalent to two 27" monitors would be about right for me which is what it is. the screen would flicker like crazy between 45 – 53fps in-game (45 – 53Hz), but was fine either above or below this level. Cant find anyone that has used this with Nvidia FreeSync yet but asked on Amazon where the monitor has 150 user reviews. Need a bigger desk then! You could probably overclock the monitor too and get a bit better range depending. Na I would mount it on a arm from the desk but I would probably need a stronger arm. Yeah It looks like a nice value display so I suggested it to somebody else doing a build recently that didn't have the budget for ultrawide. Bugger I purchased the F791 only to find it has problems with FreeSync flickers and that there is a newer model I didn't know about the J791 which apparently fixes this.